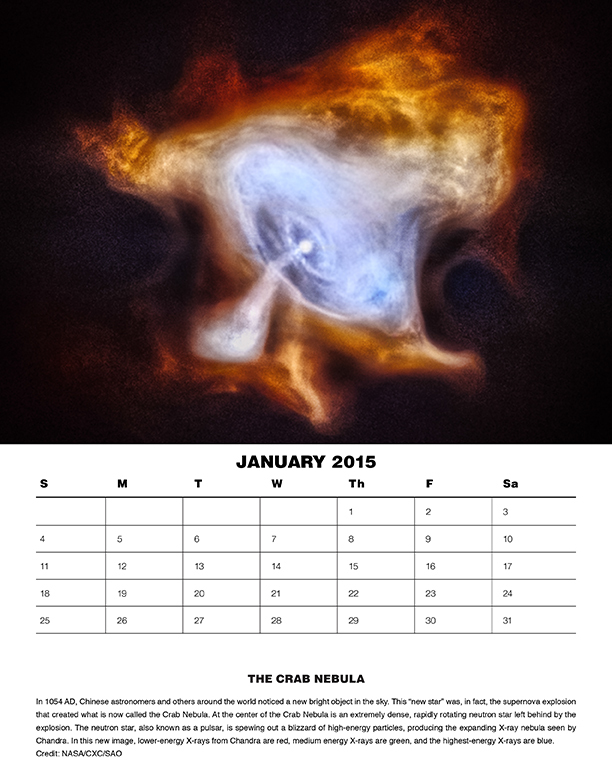 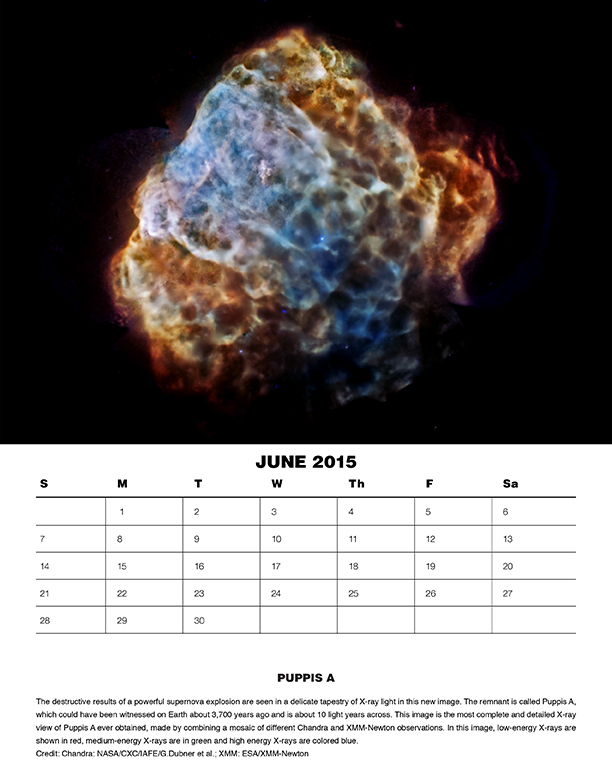 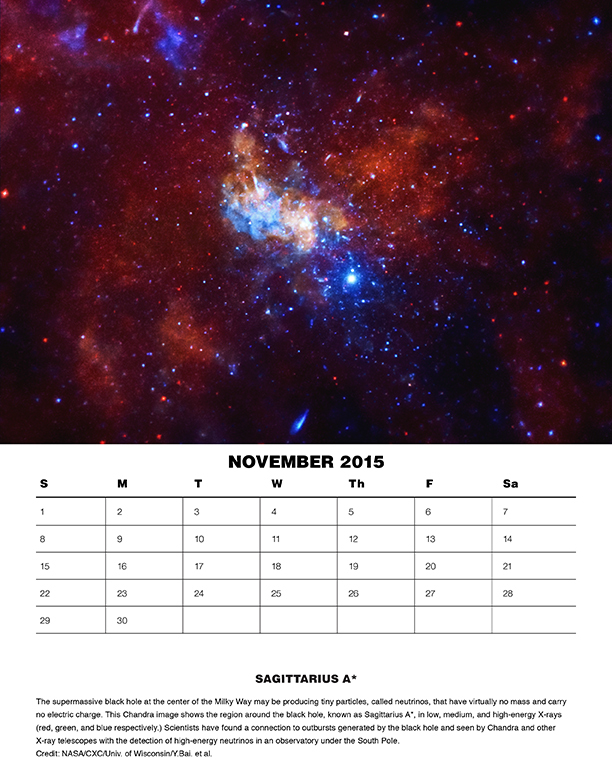 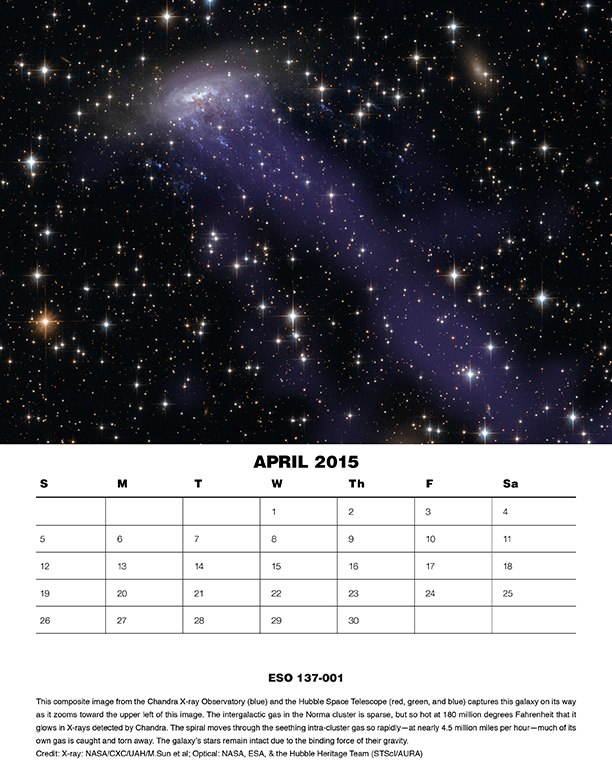 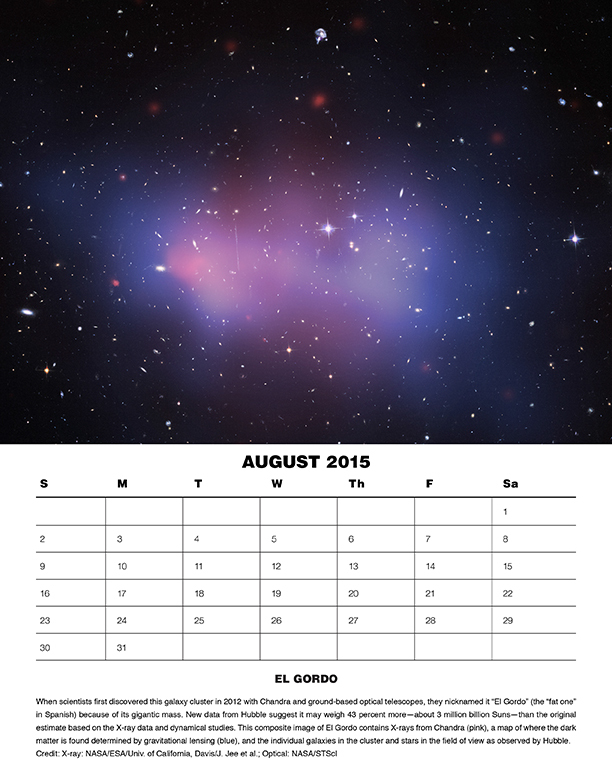 Print your own 2015 Chandra calendar with spectacular images from the past year. 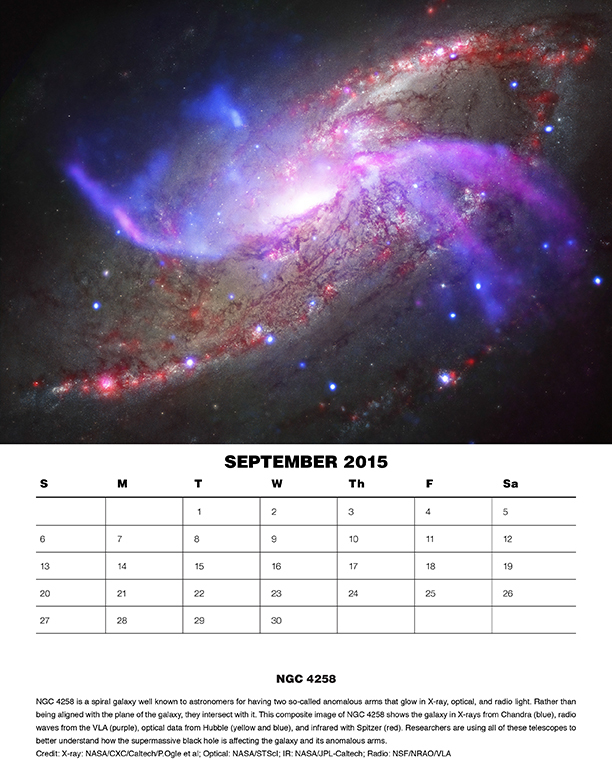 Featured objects include supernova remnants, galaxies in various shapes & sizes and clusters of galaxies deep in outerspace. 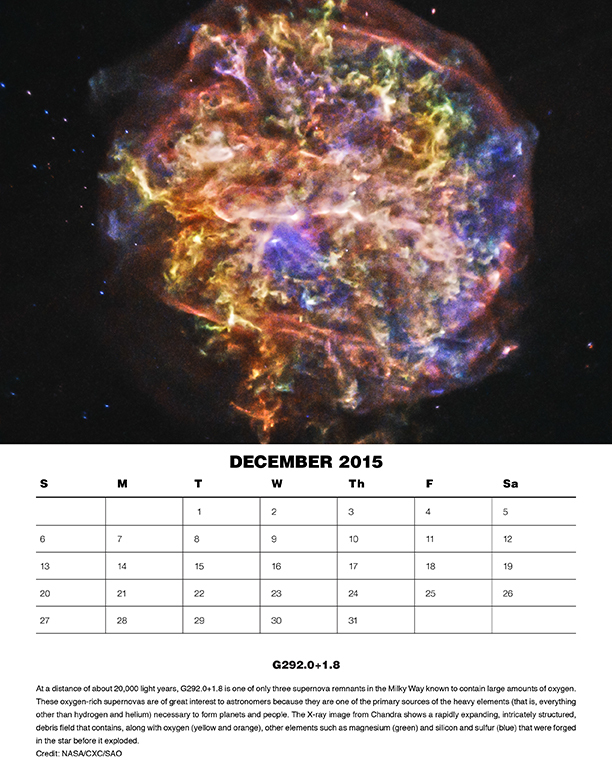 Available as a 12-page full color PDF in 11x8.5" and 17x11" sizes. 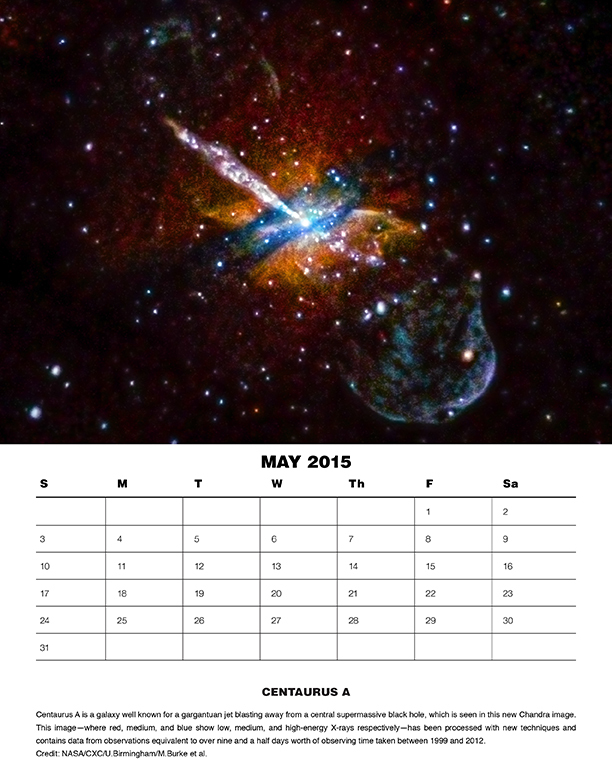 Individual months may also be downloaded separately. 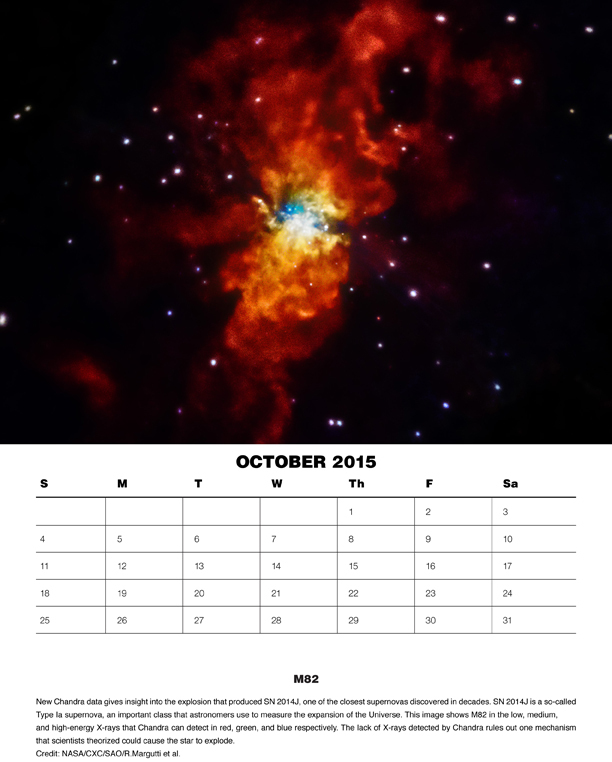 Links for image descriptions and credits are provided below. 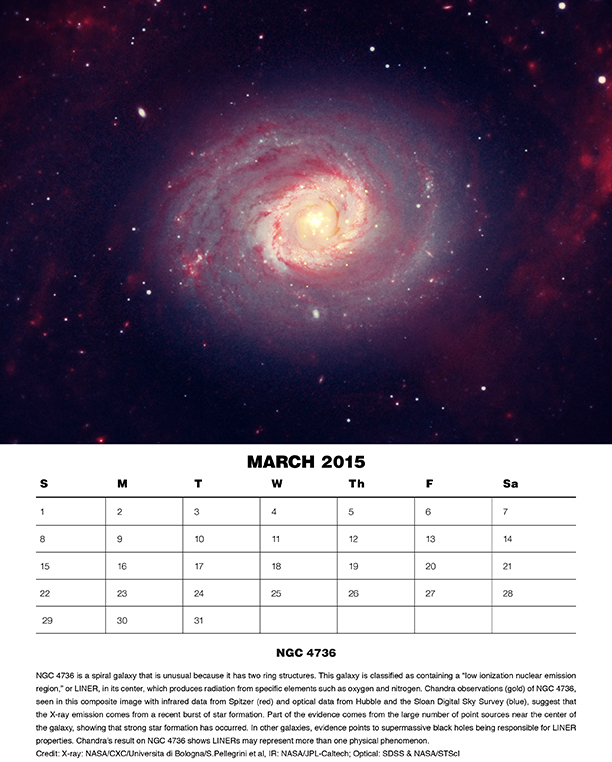 Note: These handouts are printable documents in PDF format. 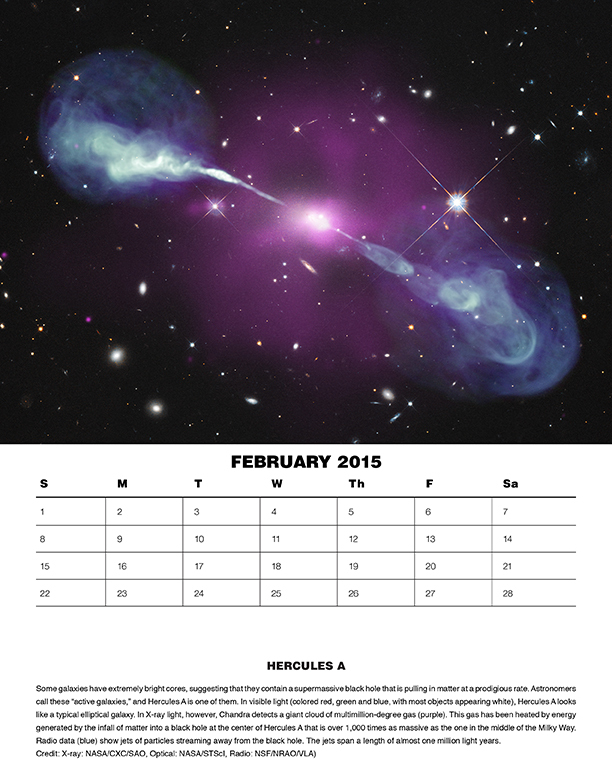 PDF files require Adobe Acrobat Reader, a free plug-in. 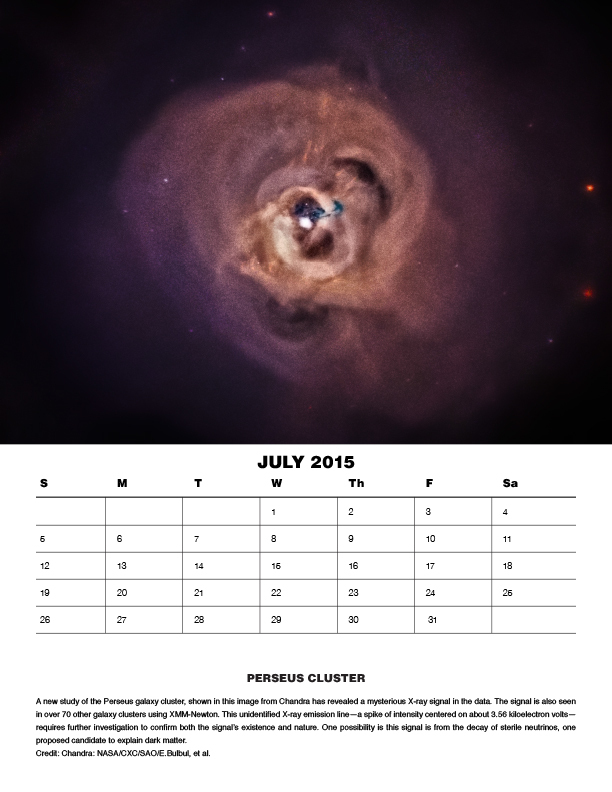 See our Download Center for help.